Sadly, this week marked the end of my summer break as I went back to work yesterday. I must admit, I really enjoyed the extra time home with the babies while I also had extra help around the house. As summers go, I didn’t quite accomplish everything I set out to do. 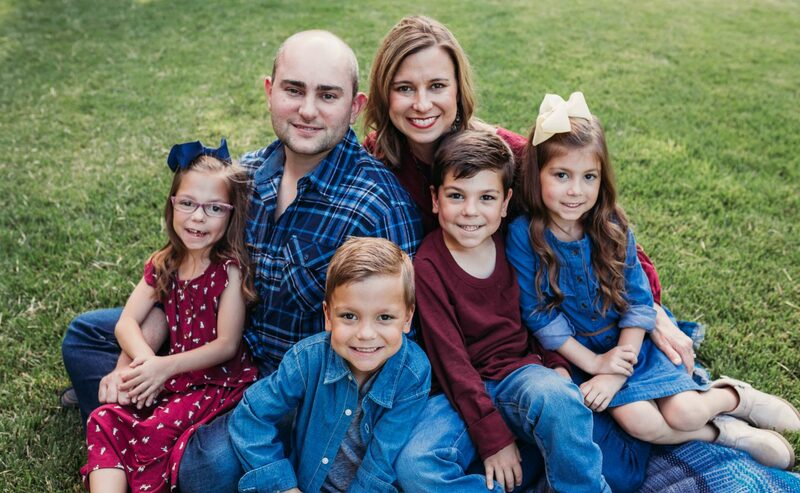 On the bright side, today is Thursday, which means it’s time once again to link up with Rebecca at A Beautiful Ruckus as we reflect upon some of the week’s highlights. 1. 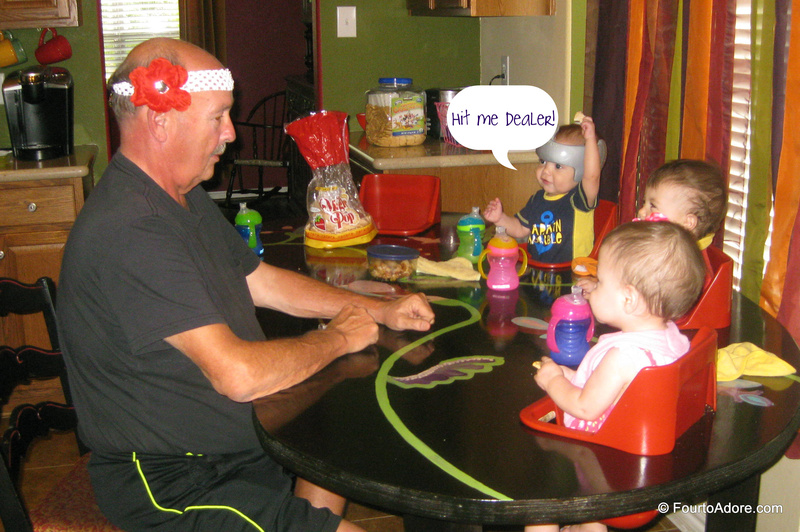 Last week, I posted this picture of my father-in-law donning Rylin’s headband as he entertained the babies. I requested captions for it and LOVED hearing some of your ideas. This week, I’m sharing the same picture with my favorite caption submitted by Jack. 2. Nothing warms a mama’s heart as much as when her babies learn new things. 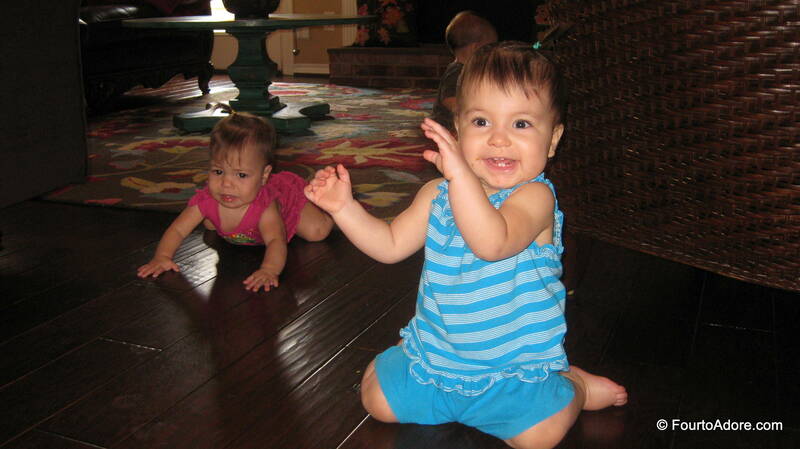 The babies are at a fun age where they explore and learn daily. 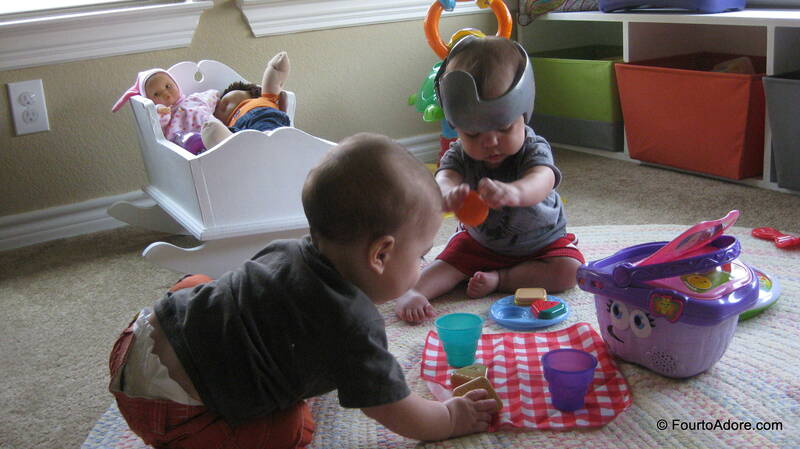 After a lot of modeling and hand over hand assistance, the babies learned to fit the circular shaped foods onto the plate that goes with this picnic basket. Of course when I tried to get them to demonstrate the skill for George they put it in the wrong slot. However, they do understand the concept of putting the food ON the plate even if they don’t match the shapes 100% of the time. Rylin learned to wave “hi” and “bye”. Whenever someone enters the front door, she crawls to the gate where she says, “hi” and waves intensely. 3. The babies received tricycles for their birthday from Grandaddy. However, some a lot of assembly was required. It took George the better part of a week to finish all four, but he managed. 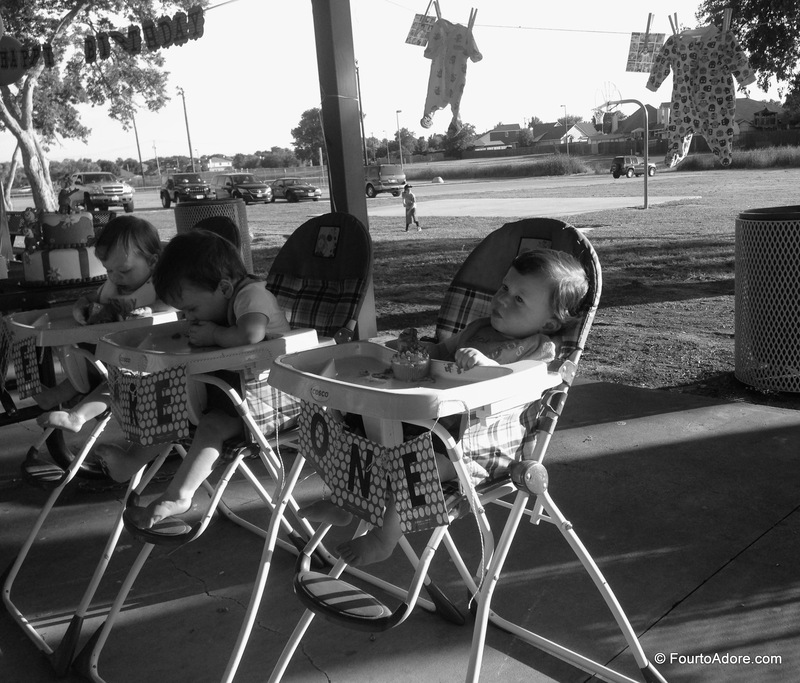 Once we had all of them ready to go, we took the babies for a short ride down the street. What a sight! 4. 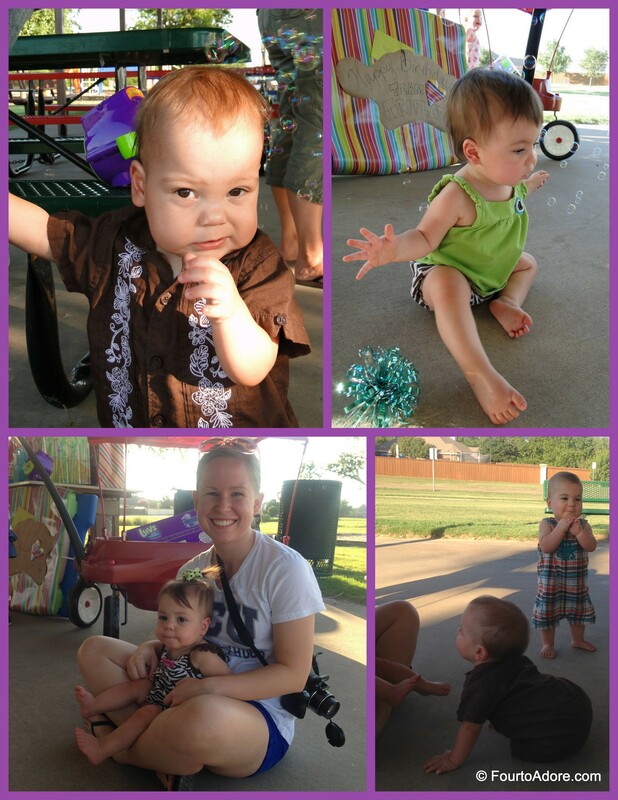 For the first time this week, the babies attended a birthday party. Their triplet buddies are just five days younger so it was their turn to celebrate the “Big One”. I was slightly concerned about how they would behave because the party was in the evening during the infamous “witching hour”. We weren’t able to stay long, but the babies seemed to have fun exploring a new place and meeting new faces. Naturally, they crawled right up to the gifts we brought and confiscated the bows right off them! At least it wasn’t a gift from someone else. Haylie, Landry, & Luke are one! One of the babies’ NICU nurses, Kim, goes to church with the triplets and was at the party too. We loved seeing her! What joy did you find this week? 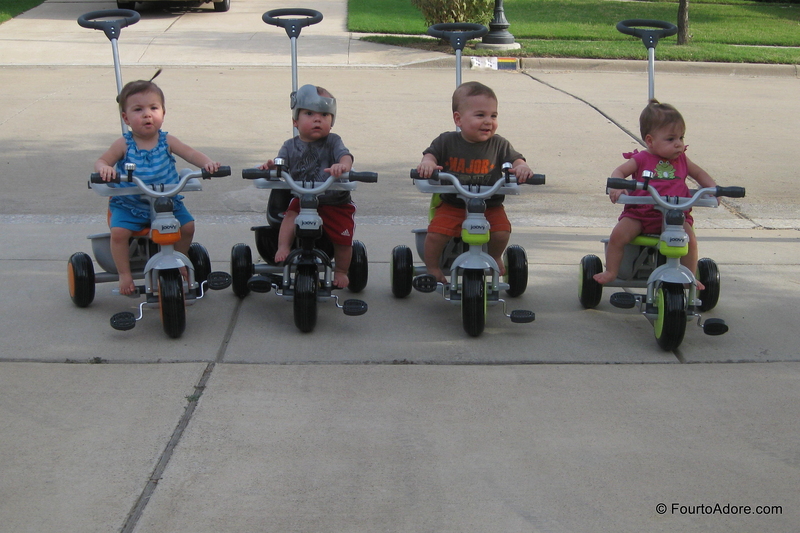 Love the baby biker gang!! Too fun! Hehe! It reminds me of that movie, “Wild Hogs” but baby version. At least now you can control their directions and keep them together, I wonder how it’s going to be when they upgrade to big boys and girls bikes :)) oh gosh! adventure every step of the way! everyone is looking so good! Blessings, Blessings and more Blessings to you and the kiddos.